Singapore Car Servicing: How Often Should You Change the Engine Air Filter? 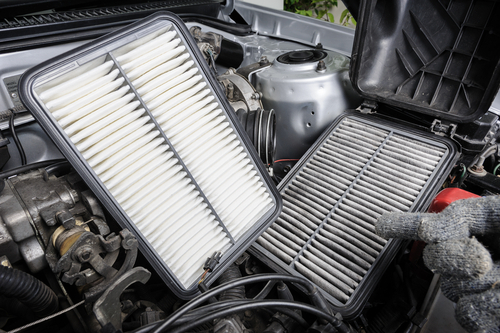 How Often Should You Change the Engine Air Filter? 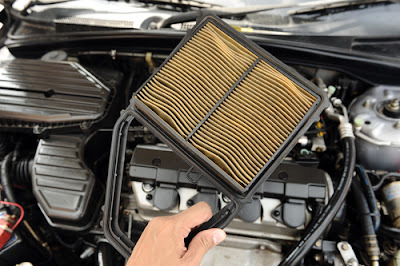 · Servicing of a vehicle on how often change one should change the air filter will vary from one country to another also depending the company that manufactured the vehicle. Some of engine manufacturing company such Chevrolet engines recommended that oil filter changed after interval of every 45,000 miles while Ford usually recommend that it should be done for every 30,000 miles which is commonly in many engines. 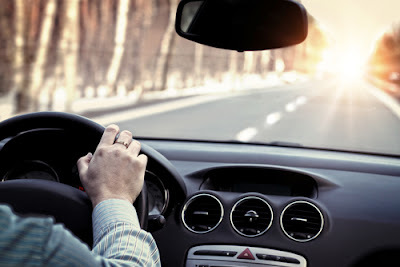 · The condition of changing the air filter will also depend on other factors such as heavy traffic in hot weather condition and in areas where the roads are unpaved. This necessitates the changing of the air filter frequently. · Some countries like Singapore where the driving distance may not be large as per recommendation by engine manufactures it is therefore recommended the air filter to be changed for every 5000 km not the recommended way in which the change of the air filter should be done for every 10,000 km. The normal change of oil filter as stated is 10,000 km for long distance but this is controversial to Singapore as mentioned that the change should actually take place for every distance of 5000 km to remove any dirt and dust particles. · If the air is contaminated it has been seen that the combustion rate is not too efficient thus the cleaner the air the better combustion. The rule behind changing may not be regulated by a lot of factors as it is just as simple as when it is dirty just take it out and clean it to ensure it is dust free. The only simple way to detect whether the air filter has dust particles just remove it and slightly hit it over a wall and if you notice it is emitting a lot of dust just simply clean it. The accumulation of dust particles may accumulate over time thus leading to obstruction of the air filter thus not allowing air to enter into combustion chamber. Measures should be taken before this accumulation covers the whole air filter. · Due to dust conditions in some areas in Singapore it is highly recommend that for safety purposes of good combustion in engine there should be serviced at a regular check up of the air filter to ensure that the air filter do not hold a lot of dust particles which eventually may lead to poor combustion. · In some incidence one may not be able to detect when he/she may need to replace the air filter but one may start seeing some black spot in the areas where the air enters before combustion takes place. In most of the air filter that are manufactured or imported to Singapore they are very fairly and easy to access thus giving one a room to access this information from the information from the user manual provided by the company that manufactured that air filter type. · If one in Singapore cannot be able to detect this condition in air filter even after the vehicles moves an average milestone of 10,000km it is highly recommended that one should get a new one to replace the old one. This is attributed due to the fact that the lifespan of that air filter has higher chances of not working in normal manner. It may not show the dust particles that have very poor combustion rate due to the fact of the life span of at least three year. · Air filter sometimes has some factors linked to the condition affecting oil filter in that in some areas where you notice that you should replace the oil filter it is also advisable that one to replace also the air filter to avoid malfunctioning which is revealed by poor combustion. Sometime it is highly recommended that one to shine flashlight from the air inside and if one is able to see that beam of light cannot penetrate through the fold then it is highly advisable that to spring into air to filter it for maintenance purposes,(Ginestet, Pugnet, Rowley,Bull, Yeomans, 2005). · In Singapore we expect most of drivers can use the same air filter for a period of more than one year and probably at least two years so as to ensure that there is a good combustion. This life span of air filter is only if one ensures a regular check up to ensure that there is no any black casing within the air filter. If you detect that the black casing is bending the ridges it is advisable that one to purchase a new one even if the period that is expected by the company manufactures is not over since this will significantly affect the combustion and also make sure the casing is tightly covered to prevent allowing in dust particles easily, (Boriboonsomsin, Vu, Barth, 2010). · In some research work done on the how the air filter affect the economy it was found that clogged air filter won’t significantly affect Singapore fuel economy. From the findings of this research work it was found that despite it may not significantly affect country fuel economy it may accelerate it by 6-percent to 11-percent. · In conclusion we can notice that it is very hard to measure this acceleration than fuel for one to detect a gradual loss in performance. To be able to evade this condition it is highly recommended that people within Singapore to ensure regular check up of air filter after certain duration.